Drinking in Philadelphia has come a long way from throwing back City Wide’s. We’ve grown up: named a top five best beer city per GQ Magazine, CNN’s top six best beer town and home to one of famed Esquire’s booze critic David Wondrich’s favorite bars to drink a Sazerac. This reputation has helped lead to a major favorable shift in undoing Prohibition legacy laws. In 2016, Act 39 liberalized state alcohol regulations, allowing brewpubs to sell any spirits alongside their house beer and finally letting Philadelphia catch up with the rest of major American drinking cities. While beer remains central to the City of Brotherly Love, spirits are in ascendance. With the wake of Act 39, Philly has seen a boom in craft distilleries. The southeastern Pennsylvania region is now a growth industry for them to experiment, collaborate and thrive. Manatawny Still Works puts regional PA roots front and center. Headquartered in Pottstown along the Schuykill River, the four-year-old distillery shines a light on the abundance of Pennsylvania spirits and ingredients in “The Place We Meet to Drink” – a name designated by the Lenape (Delaware) Indians who once habited this same land. 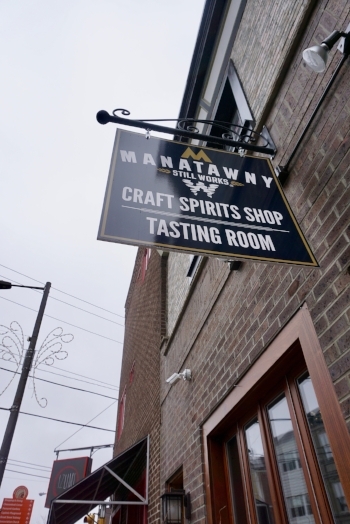 In August of 2017, MSW expanded their footprint across the Lenape trail to South Philadelphia’s Passyunk Avenue (once home to another Lenape village) opening a tasting room that takes drinkers through a tour of Philadelphia's greatest cultural hits. There’s no better street to soak in this city’s rich nightlife boom: it made Food and Wine’s list of 10 Best Foodie Streets in America in 2013, proudly boasts 55 women business owners, hosts its own Restaurant Week and is lined with several annual street festivals. All in a narrow 10-block that cuts diagonally through the city. 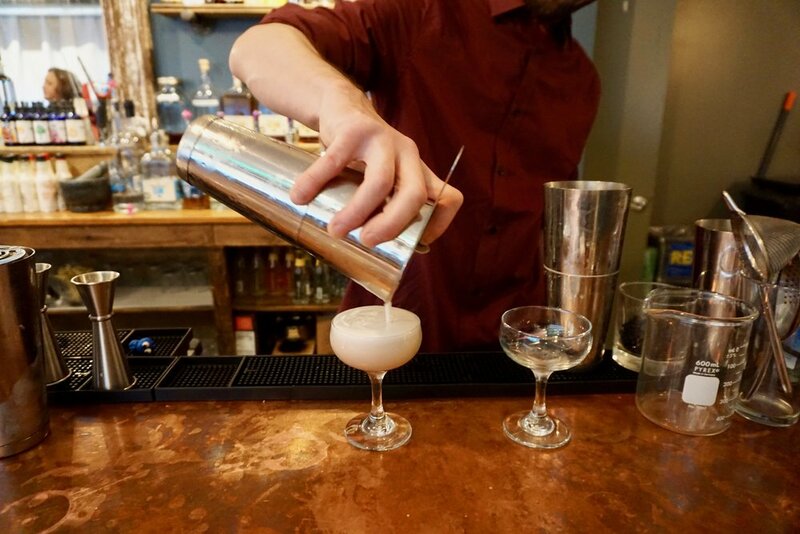 Bar manager and Philadelphia-area born Mike Cohen challenges his team of bartenders to take on new riffs from the classics using small-batch spirits and ingredients sourced entirely from Pennsylvania. 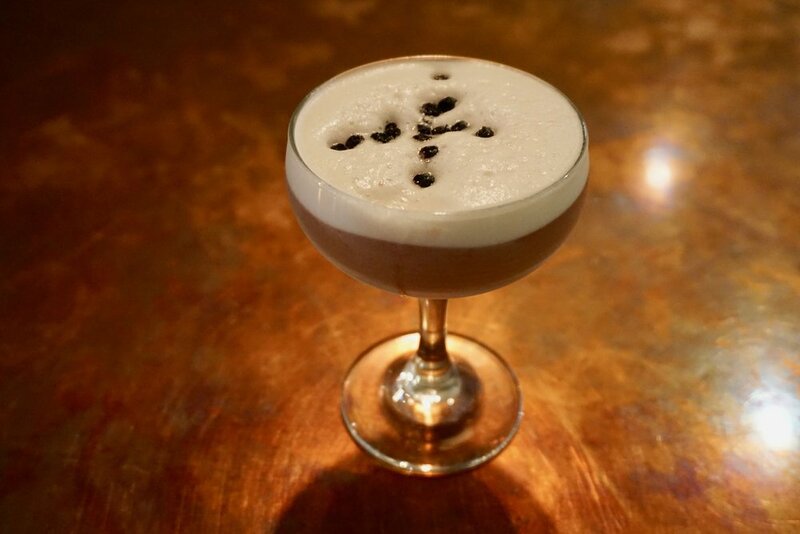 One evening Cohen reworks a Philly classic, The Clover Club, named after the one-time private men’s club in Philadelphia. 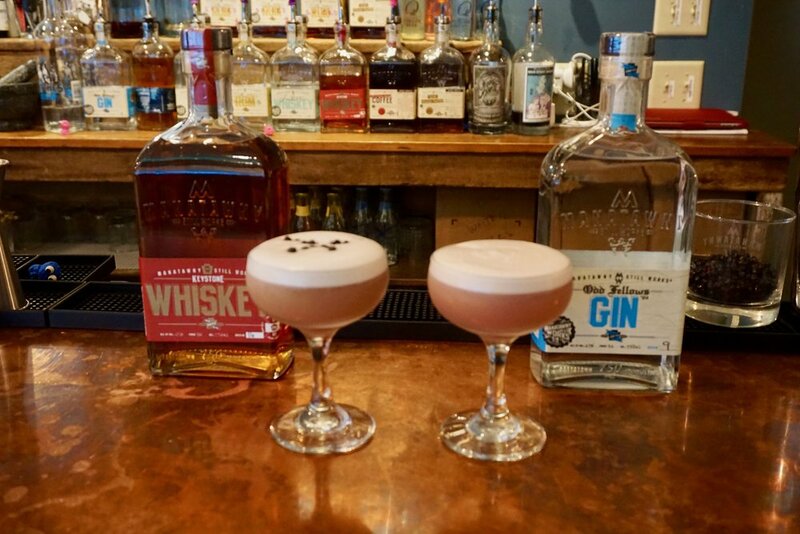 It’s made even more local with American Keystone whiskey, Manatawny Still Works’ flagship product, Chester County-sourced honey and dehydrated blueberries replacing crushed raspberries which are turned into a syrup with sugar. The result is an “OG classic-meets-new Philly” taste-down. Cohen adds the star spirit last before shaking it vigorously for twenty seconds or so, pouring out white froth and then dotting it with dehydrated blueberries. Upon first taste is a whiskey-forward cocktail that evolves from strong to bitter, then citrusy and sweet. Oaky notes from the whiskey are aromatic and inviting, and naturally carry a bite when the brown liquor hits the back of your tongue. The sip is ultimately balanced by the sweet honey character and smoothie-like layer of a purple-hued foam from the egg whites. Approachable yet layered in depth of flavors and textures, it’s a Philadelphia-infected cocktail: rough around the edges, but warm and inviting at the core. For Philly lifers like Cohen, it’s about putting your soul into the craft and bringing spirits to life for regulars in this neighborhood jawn. You can find locals perched up at the bar most nights swapping sass with Mike himself, while tourists mingle in a corner, overwhelmed by the menu’s options. As for me, it’s “dealer’s choice” sitting on a stool catching up with friends up and down the Avenue. Editor’s note: Cocktails at MSW rotate seasonally. Ask the bartender for their on and off-menu recommendations. Combine lemon juice, egg whites and honey in cocktail shaker. Fill shaker with ice, cover, and shake vigorously to dissolve honey, about 20 seconds. Next, add Keystone Whiskey to shaker with the rest of the ingredients, add more ice and shake for another 20 seconds. Strain cocktail through a strainer into a coupe glass. A version of this story appears in Fields & Stations’ first print issue. Learn more.